Technology is like wind, a wind of change sweeping across the world. Millions around the world have joined the wind of change and those yet on board risk never catching up and left to mourn in their own rigid minds of resisting change. Someone said that nothing is as constant as change. We cannot resist change. Even if we do, that won’t stop it from happening. Change is ever changing and the best way is to either tailor it towards good or leave it to sway you down the stream where anything can happen. One of the changes around the world is urbanization. Kenya is not spared in this new wave of change. As technology continues to advance, so is urbanization. With a population hitting 50 million, Kenya was set to either choose a new form of urbanization or risk being a country with the largest slums in the world. “Nairobi has become small for most of us. Every year, it is estimated that close to 500,000 people move to Nairobi. Currently, there are no houses in Nairobi. Nairobi is actually in need of two million housing units. There is a need for another city,” said a representative from Cytonn Investments Limited during the release of their real estate report. It was through the quest to adapt to change and revolutionize Kenya’s urban sector that the idea of Tatu City was born. I have been following the intrigues surrounding Tatu City for a while. 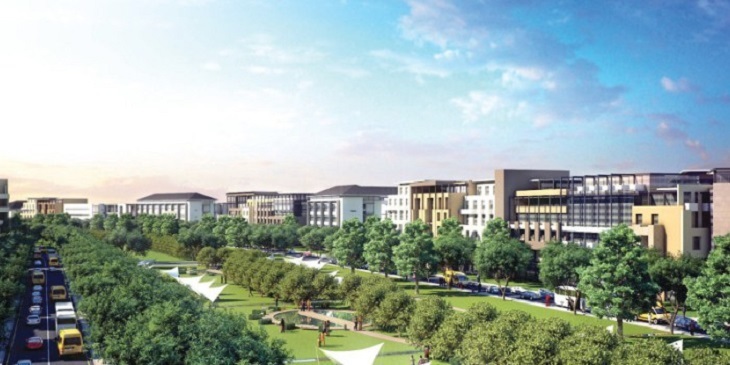 Matters surrounding Tatu City are often discussed in hushed tones and trying to find out the truth is like trying to get water out of a rock in the Kalahari Desert. The conflicting stories about Tatu City forced me to dig deeper into the matter. I wanted to understand what Tatu City was all about. I wanted to differentiate the chaff from the truth. I wanted to know the person who gave birth to the idea and why several people are claiming the paternity of the idea. Am not looking forward to you agreeing with what I found out. It all depends on which side you stand but if you care about facts and truth, then this is it. I traced the Tatu City idea to Vimal Shah. They say we give credit where it is due and for the Tatu City Idea, Vimal Shah was the father and all documents in my possession point to this fact. I have had a sit-down with the two warring parties and from the idea bearer, I learned that Tatu City was never supposed to be just a commercial project but a revolution that would change the lives of millions of Kenyans by giving them a new affordable and beautiful space to live in, a satellite city, a wonderful place that they would call home and away from all the noises and the confusions of this world. It was a dream that had gained shape and begun to materialize. The Tatu City idea, from what I have found, might just remain an ‘idea’ and eventually die, not a ‘natural death’ but ‘murdered’ given the numerous and seemingly endless boardroom wars and shareholders going for each ones’ throats, spilling over to the courtrooms and spreading from Kenya to London to Mauritius with the reputation of the whole project now being watered down. I will not really dwell deep into the muddy waters, also because the matter is before the court of law but I cannot mention Tatu City, Vimal Shah and leave out a name that has featured prominently in this matter, Stephen Jennings. Mr. Jennings has been at loggerheads with Vimal Shah and I think, the whole brood became spoilt the moment Jennings stepped into the project. According to the unearthed documents we have, Jennings is working hard to make sure that the project is over and done with. But, he has made sure that he wins the sympathy of some who have refused and failed to see the truth. What most people don’t know is that initially, Tatu City was to deal with purely coffee farming and production. The idea of coffee had been hatched by the initial investors; Stephen Mwagiru and Nahashon Nyagah. When Vimal Shah was approached with the idea of coffee farming, he knew it won’t go anywhere because the coffee sector was already ailing and at the brink of dying. He then came up with the concept of developing a new city in Kenya which formed part of the Vision 2030 strategy of setting up a new satellite city on the land. Following the discussion about the idea which was borne by Vimal Shah of developing a new satellite city on the land, Stephen Mwagiru and Nahashon Nyagah negotiated with Socfinaf to buy the land called Tatu Estate owned by Socfinaf. The said Tatu Estate was (1,000ha). As already aforestated, it will be noted that Tatu Estate was among the nine Estates that were owned by Socfinaf. Further, Stephen Mwagiru and Nahashon Nyagah besides negotiating with Socfinaf to buy the Tatu Estate, they also negotiated with Socfinaf an option in their favor with an offer to buy the entire shareholding of the company Socfinaf from the owners. Stephen Mwagiru and Nahashon Nyagah negotiated hard and Socfinaf agreed to reduce the total sale price of Socfinaf which we have already seen stood and/or was initially valued at USD 162m to $105m for the whole of the Company including the Tatu Estate. All this was agreed under the Waguthu Holdings Kenya Ltd name in the sale and purchase agreement and; the options agreement which was both made in the name of Waguthu Holdings Kenya Ltd now termed as Tatu City Ltd. (Will share the details later). As I said before, I do not want to swim in the muddy waters flowing around. But there is a need to have a third eye in analyzing these issues. There is a need to go on the ground and get facts right. At the moment, I dare say that the courts have relied on rhetoric and written ‘evidence’ to come up with some ruling but haven’t really gone on the ground to see what really happened.